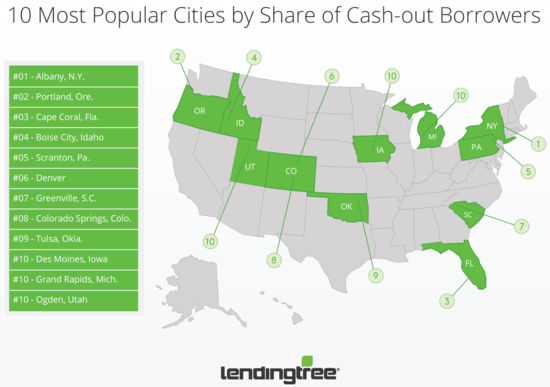 Despite being nowhere close to levels seen just over a decade ago, cash-out refinance loans are on the rise, this according to a new data dive by LendingTree. The company reported that 62% of those who refinanced in the first quarter took “cash out with that,” up from 54% a year earlier. This number is only expected to rise as more and more homeowners realize they’re sitting on piles of money after so many years of being firmly below sea level. At the same time, fewer and fewer borrowers will benefit from a rate and term refinance as interest rates rise, so it will only strengthen the cash-out numbers. So-called “tappable equity” increased by the largest amount in a single calendar-year on record, per data from Black Knight’s latest Mortgage Monitor released this week. During 2017, some $735 billion became available to homeowners who wished to take advantage of the equity in their homes, bringing the total to a whopping $5.4 trillion, which is 10% above the prior peak seen in 2005. In total, roughly $262 billion in tappable equity was withdrawn last year via cash-out refinances and home equity lines of credit (HELOCs), which also marked a post-recession high. Despite this, Americans tapped a lower percentage of available equity last year than in the year prior, and withdrew less than 1.25% of all tappable equity during the fourth quarter of 2017, a four-year low. Part of the reason might have to do with current mortgage rates, which aren’t as low as they once were. Per Black Knight, three-quarters of that equity is held by homeowners with existing interest rates below the prevailing rate for a 30-year fixed mortgage. In other words, if they were to refinance their first mortgage, they’d wind up with a higher interest rate unless they opted for an adjustable-rate mortgage. And everyone these days seems hell bent on hanging onto their low-rate mortgage. 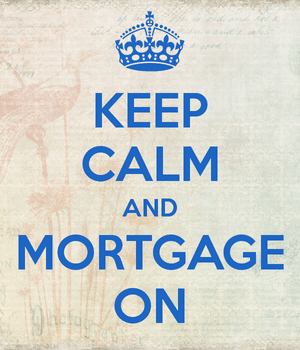 One option to avoid disrupting the first mortgage is to open a second mortgage, either a HELOC or a home equity loan. The problem there is HELOC rates are only expected to rise as the Fed continues to raise rates, which immediately raises the prime rate HELOCs are based on. The good news is more than half of the available tappable equity ($2.8 trillion) is held by homeowners with credit scores of 760 or higher, meaning if they do go after their cash, they’ll qualify for the lowest rates available (and hopefully pay the loans back this time!). These 10 metros had the highest share of cash-out refis during the first quarter of 2018. I bet you didn’t guess Albany. But yep, it’s Albany. Does this mean we should keep an eye on Albany and these other cities as the first to fail in the event of another financial crisis? Probably not, but a mix of overheated home prices and a lot of cash-out is certainly never a good thing, so it’s something to watch. However, today’s mortgage underwriting guidelines are a lot more strict relative to what we saw in the early 2000s. You’re not going to get a cash-out refinance for 100% of the value of your home. The days of the $0 down mortgage, at least in terms of cash out, are over. More likely is a loan-to-value ratio (LTV) capped at 80%, which provides for a 20% equity cushion in case home prices do take a turn. But again, if underwriting begins to loosen, it can become a concern in a hurry. 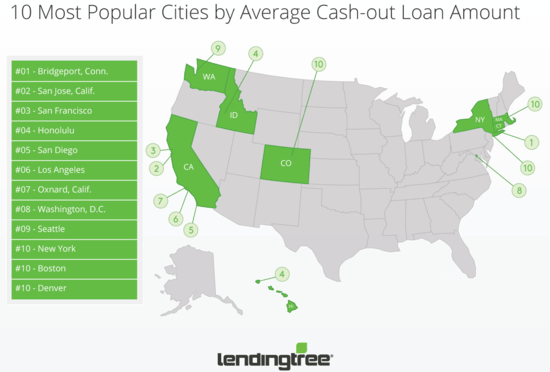 Now let’s take a look at the top ten cities by cash-out loan amount. Unsurprisingly, a lot of California cities made this list. While these loan amounts are likely on the rise, they still pale in comparison to what was seen during the run-up to the last housing bubble. So again, not necessarily any reason to worry, but the situation should be monitored over time to ensure things don’t get out of control again.